Back in the early 1940s, late at night in the clubs of Harlem, a handful of jazz musicians began to experiment with a style that no one had ever heard before. The music was fast, complicated, impossible to play for many of the older musicians,but it soon became the lingua franca of jazz music. They called it bebop, and as the years went by, it became even more popular. Today it reigns as perhaps the best-loved style of jazz ever created. Ira Gitler conveys the excitement of this musical birth as only someone who was there can. 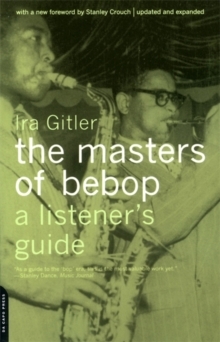 In The Masters of Bebop, Gitler traces the advent of what was a revolution in sound. He profiles the leading players,Charlie Parker, Dizzy Gillepie, Max Roach,but also studies the style and music of the first disciples, such as Dexter Gordon and J.
J. Johnson, to reveal bebop's pervasive influence throughout American culture. 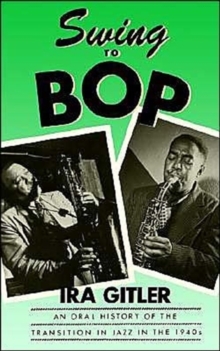 Revised with an updated discography,and with a new chapter covering bebop right up through the end of the twentieth century, The Masters of Bebop is the essential listener's handbook.